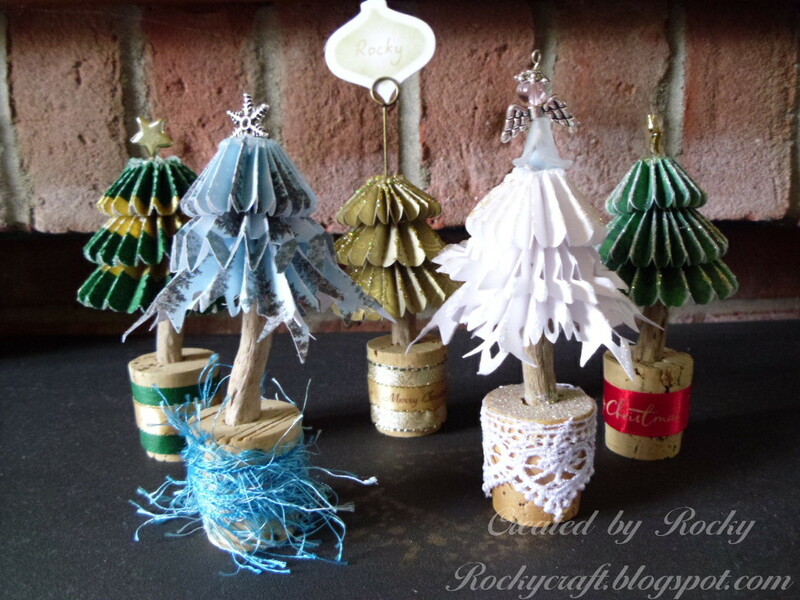 These little trees were made following a tutorial by Tim Holtz that was first posted in 2011, you can find a link to his post here. I have followed his guidelines but changed a few things along the way. I didn't have any wooden cotton reels so I've used large corks from a homebrew shop and rather than cut up pencils for the trunks I've used drift wood collected on the beach. I have also used some rosette dies that weren't around when Tim first posted his tutorial, like the snowflake rosette. If you would like to take a closer look at all five then please pop over to my blog and read all about them. They don't have to be Christmas Trees, they would make good trees for a train layout or fairy forest as a holiday activity with the children. Have fun collecting driftwood first, then spend another day making trees.